An important prophecy is about to be fulfilled. A great prophecy of your Bible is about to be fulfilled! You need to watch what is happening in the Middle East and Africa! After the attack in Algeria, a senior Algerian official announced that several of the terrorists were Egyptian—and were the same people who participated in the terrorist attack on America’s consulate in Benghazi, Libya, that killed four Americans last September. Adam Nossiter reported in the New York Times, “The Egyptians involved in both attacks were killed by Algerian forces during the four-day ordeal that ended in the deaths of at least 38 hostages and 29 kidnappers, [a senior Algerian] official said. But three of the militants were captured alive, and one of them described the Egyptians’ role in both assaults under interrogation by the Algerian security services, the official said” (January 22). I’m sure their interrogation was considerably stronger than waterboarding—what is called torture in some quarters of the U.S. These are electrifying facts. Terrorists from Egypt were involved in the Benghazi attack. Based on biblical prophecy, I’ve been proclaiming for nearly 20 years that radical Islam was going to take over in Egypt. That is exactly what has happened. Egypt has been an ally of the U.S. for three decades. Then we shamefully pushed President Hosni Mubarak from power and set the stage for Islamic radicals to take over. Now the Muslim Brotherhood rules Egypt. After the Muslim Brotherhood gained power, I also proclaimed—again, based on the Bible—that Egypt would then work to overtake and conquer Libya—which it has just about done! Are you conscious of this? Do you see the obvious connection between the Arab Spring and these terrorist attacks? This man would probably call it the “Arab Nightmare.” He said he hopes Americans see it because the U.S. so vigorously supported the Arab Spring; in fact, America, more than any other nation, caused the downfall of Egypt to radical Islam. More than any other nation, America caused the worsening of terrorism in Libya. Now the terrorists are emboldened to try to take over great chunks of Africa. Algerian leaders were strongly opposed to the Arab Spring. They were firmly opposed to the West stepping in to topple Muammar Qadhafi in Libya. They knew that Qadhafi was a dictator, but he wasn’t causing problems anywhere near as serious as the ones coming out of Libya now. They knew that getting rid of him would create more problems than it solved. Yet America went ahead and took him out. What is wrong with America’s foreign policy? Just about everything, it seems. This is exactly what the Algerians feared would happen! Now, along with Egypt, you have another nation in the region that is sponsoring and exporting terror in the world—just as the Bible prophesied. Are you willing to examine these prophecies of your Bible and put them to the test? Events are proving the Bible true right before our eyes. Scripture shows that Iran is going to benefit most from this spread of extremism. It is doing all it can to encourage the radicalization of Egypt and its spread into Libya. Scripture tells us that soon, Ethiopia will also fall into that terrorist camp. Many of our readers have scoffed at that statement. But events in that country are already moving in that direction. The Egyptians who helped in that Benghazi attack were also part of attacking Algeria. But this time, they were all killed. Why? Because the Algerians know how to handle terrorists better than America does. This Algerian official “defended the tough Algerian military assault during the standoff and dismissed criticism by foreign leaders that they were not informed of it in advance,” the New York Times wrote. I’m sure that American leaders were among those complaining about not being informed of this military assault in advance. But when terrorists are taking over, who is going to wait for America to solve a crisis like that? The Algerians know that nothing was done in Benghazi—and still hasn’t been done! The way America “handles” such attacks only encourages more attacks! When are we going to wake up and see that? When you let radical Islamic terrorists kill an ambassador and other American personnel and do nothing about it, what do you expect? Algeria is still an American ally, and here it is trying to educate us about what we are doing wrong. The U.S. finally held some congressional hearings about the Benghazi attack, but very little came out about what really happened. The American people were told very little. To this day, those who were there on the ground have not been allowed to speak publicly about it. Yet four days after this attack in Algeria, those who were there spoke to the media. Why not the people from Benghazi? Does somebody have something to hide? America has made a lot of mistakes in foreign policy—both Democrats and Republicans—but somebody must be held accountable for these things. If they are not, America will continue to cause gigantic problems in the Middle East and Africa because of our wrong-headed foreign policy and our deplorable weakness. It has been reported that the man who led that attack is boasting in Benghazi about what he did! Yet nobody can find him. Isn’t that amazing? We promised that the perpetrators would pay for this attack—yet months later, still nothing has been done. What’s wrong with our foreign policy? Do we even have a foreign policy? It is a farce, and the Arabs know it. We tell our soldiers in Afghanistan to be nice to the Taliban terrorists. The terrorists there, and throughout the Middle East and northern Africa, know these are statements of weakness. They know that now is the time to take over in Africa and elsewhere. The attacks in Algeria are a sign that radical Islam is doing everything it can to take over Africa. But it is going to run into one large obstacle very soon. Radicalism is spilling out from Egypt and spreading over northern Africa. These radicals are now trying to take over Algeria, but they are beginning to face some opposition from Germany and the European Union. Algeria has a strong supporter in Germany. That is going to make a big difference for these terrorist groups. Why is Germany so interested in Algeria? A big part of the reason is oil. “Algeria is one of the largest exporters of light, sweet crude oil in the world and a significant natural gas exporter to Europe,” reported Stratfor. “The United States is the largest consumer of Algerian crude oil, consuming about 30 percent of exports, or approximately 375,000 barrels per day” (January 17). Amazingly, it doesn’t seem to bother the U.S. that somebody might cut off that energy source. 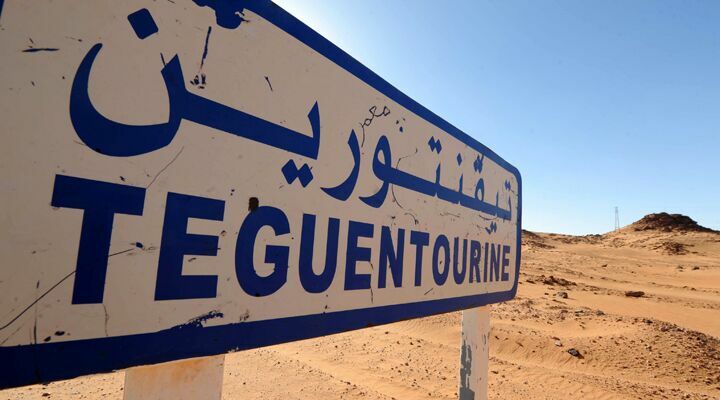 “Europe consumes another 40 percent of Algerian exports, with Spain and Italy also relying heavily on Algeria (Europe’s second-largest supplier after Russia) for their natural gas needs,” the article continued. Do you think Germany will sit back and do nothing while terrorists take over Algeria? I think you’re going to find Algeria getting a lot of help from Europe, especially Germany. With all that fuel coming from Algeria, you know Europe and Germany must be very concerned. Germany is the financial leader in Europe today. That gives it a lot of power in other areas as well. This is an astounding development, considering Germany’s condition at the end of World War ii! After it had repeatedly provoked the world into deadly wars, the Allies reduced it to rubble and pledged to never let it rise again. Germany’s return to power is the fulfillment of another crucial biblical prophecy—and it is something everybody can see today. While that nation was lying in ashes after the Second World War, Herbert W. Armstrong prophesied that it would rise again, assume leadership over Europe—and again drag the nations into another world war! He continued to warn of that right up to his death in 1986. We have continued that warning ever since. The Bible shows that another strongman is going to rise up and take control of Europe, just like Adolf Hitler did. We expect this to happen very soon. Right now, European leaders see the king of the south trying to dominate the fuel in the Middle East and Africa, and you can be sure they are going to react. That fuel is critical to those nations, so they will turn to that strongman for leadership. (Our free booklets Daniel Unsealed at Last and Germany and the Holy Roman Empire will explain that to you.) Europe will once again choose the path of war in order to secure its resources. That strongman is going to do a lot of damage in the world while seeking to secure Europe’s dominance. Germany’s Rheinmetall plans to build 1,200 Fuchs 2 armored personnel carriers in Algeria over the coming decade. Germany has authorized the delivery of 54 of these Fuchs vehicles, worth nearly €200 million, and nearly €300 million in sales of other armored vehicles. That is a huge number of vehicles. Rheinmetall manufactured just over 1,200 Fuchs 1 vehicles in total. Rheinmetall in Algeria plans to build the same amount of Fuchs 2s purely for the country’s own army’s use. It will own more of these vehicles than Germany does. In the decade leading up to 2011, Algeria bought roughly just over $10 billion worth of arms. Over the next decade, it plans to buy that much from Germany alone. Germany is heavily investing in Algeria. It knows this nation’s strategic importance. The orchestrator of the Algerian terrorist attack is from Mali. Terrorists from the Iranian camp of radical Islam have taken over two thirds of Mali. Now they are getting closer to some German strongholds in central Africa in the old Congo area and on the shores of eastern Africa. Germany has great power in Africa—even military power—that few people are paying attention to. Germany is not about to give that power up, certainly not without a fight. Why did France send 3,500 ground troops, fighter jets and armored vehicles into Mali in January and February to pound Islamist camps? The French just got out of the disastrous war in Libya helping America topple Qadhafi—surely they would have been hesitant to get involved in another conflict. But I imagine France—which is, after all, part of the European Union led by Germany—was strongly encouraged to go down there because the terrorists were getting closer to Germany’s strongholds. The prophecies in Daniel were written for this end time (Daniel 12:9). Yet nobody even talks about them, let alone understands that book. The whole world is asleep to what is going on. We are now in the times of the Gentiles. You are about to see these two Gentile powers clash and lead us into World War iii. That war is prophesied in detail—including all the horrors you can imagine from nuclear war! Jesus Christ said that if He didn’t intervene, no flesh would be saved alive! (Matthew 24:21-22). We are living in that time Christ prophesied about. Thankfully, He will intervene and save us from ourselves! You can be absolutely sure that He’s about to return to this Earth and solve all of our terrifying problems. That is the most magnificent—and sure—prophecy of all: that this world will be ruled by the King of kings, who will establish peace on this Earth and in the universe forever.